We have no illusions of being culturally significant but, as you might imagine, it is somewhat disheartening to have a project that one worked so hard on be treated in so cavalier a manner. But the worst part is that we are classified as a Country artist. Apparently having one song with a country feel automatically contaminates the entire production. On top of that, it is classified under a separate artist from E Pluribus Esteban, so the two don't show up together when you search for The Universal Steve. In spite of the incorrect song order and classification, we are very proud of this album and we hope that you enjoy it. The cover photo was taken by Steve Edberg inside the studio we built on Ryer Island. The goat belonged to Steve and Cara Bryant. Paul Takushi was kind enough to produce some video of us playing at our gala release concert and post it on The Internet. The Universal Steve can now be heard on Pandora. 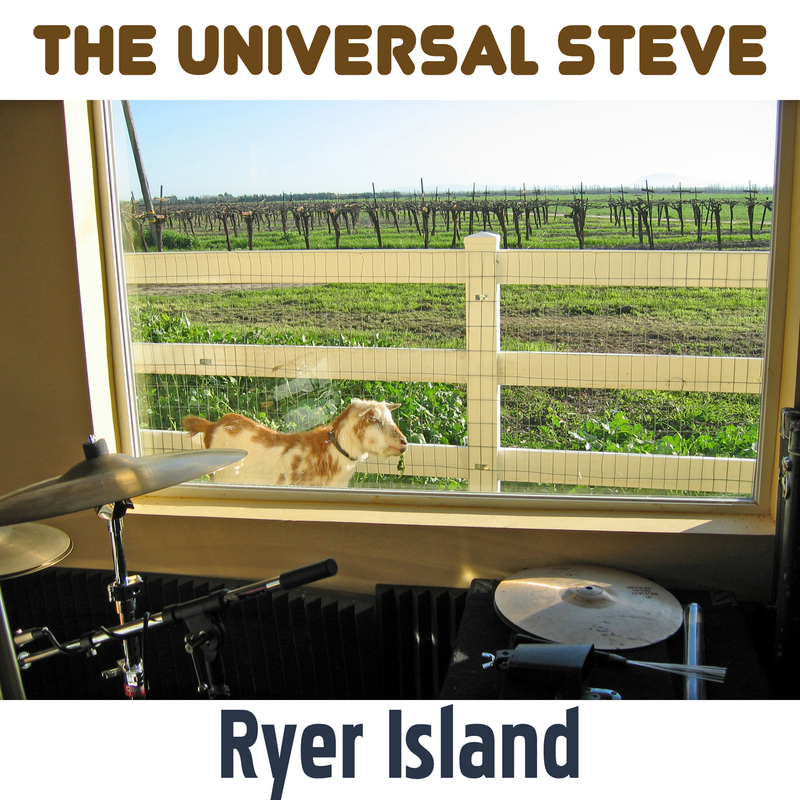 Click here to create a Pandora "radio station" based on The Universal Steve.